Disclaimer: Investment is subjected to market risk and Investelite Research do not guarantee any kind of assured return and thus we do not have any Refund Policy. Please do trade in all our calls provided through SMS only. We request you to kindly avoid trading on calls given by any of our executives over the phone. Investelite Research is an investment advisor any amount paid to the company is only for investment advisory fees paid for market-related tips and recommendation. Kindly note that the past performance is not necessarily an indicator of future performance, it may vary as per market situation. We also code that the past performance does not guarantee any future performance. Simplifying Intraday and Short term Trading. Personalized advice based on your Risk Assessment. 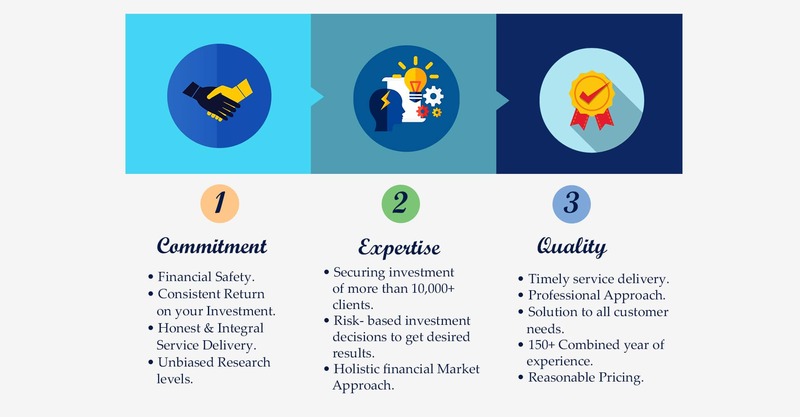 Investelite Research - SEBI registered investment advisor is Known as best ethical investment advisor in India because Our singular focus right from inception has been “Capital appreciation” through short term and intraday stock market trading tips. The platform executes trading advices according to Risk Tolerance, Selection of Stocks Tips, Risk Diversification, as well as product suitability of each client. The Research also keeps a 24x7 track of the stock market activities throughout the year and provides advice based on the unmatched research experience. We are among those investment research companies and stock market Sebi registered advisors in India, who always advice with a very clear focus on discovering intraday trending stocks in Indian stock markets Companies with high growth potential. True measure of any business is Performance. Some of our successes and consistency of our product are listed below. Every client journey begins with a conversation. To discover whether investelite research is fit for your financial planning needs, call us to schedule a quick, completely free, low-risk call with an advisor. It’s that easy, seriously!